The M27 corridor is crying out for investment to meet growing demand for workspace to rent. Boxpod has seen its listings of commercial properties and workspaces to rent and buy in Portsmouth triple in the past 12 months. Property views were up 172 per cent on the previous year and enquiries up by 39 per cent. This three-fold increase mirrors demand for offices, shops and workshops to rent outside London in areas with good transport links to the capital. Research by Savills found that the economy of the M27 corridor and surrounding areas of Portsmouth and Southampton is growing faster than the national average, putting strain on an already undersupplied commercial market. The 2017 research found a lack of commercial development has led to an increase in refurbishments. Hopes are pinned on potential mixed-use schemes, dominated by residential but providing some commercial space. 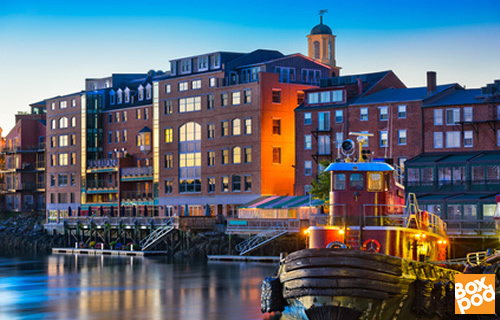 Portsmouth is known for its maritime history. It’s a busy port city and naval base, 70 miles south-west of London. Lambert Smith Hampton believes the city is challenging its local rival Southampton to become a shopping haven. The £16.2million retail development, Portsmouth Retail Park in North Harbour, is set to rebalance the retail offer in Hampshire, where Southampton has traditionally dominated, according to LSH South Coast office.